Blockchain technology has huge potential to disrupt a wide range of industries, ranging from data management, security and healthcare as a few examples. The Blockchain can provide a new foundation and structure for health information management by making electronic medical records more efficient, without intermediaries and empowering patients to be the owners of their own records. This way, a Blockchain-backed health information platform will be able to unlock the important value of interoperability and in turn, provide a reduction in costs to health providers and patients alike. 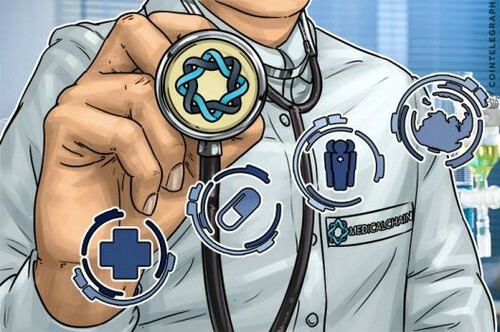 The Medicalchain platform aims to utilize the Blockchain to improve health record storage. The different institutions such as doctors, hospitals, laboratories, research and health insurers will be able to request permission to access a patient’s record in order to provide their services and record transactions on the ledger. Medicalchain is going to partner with Civic: this will facilitate one of the ways in which doctors will be able to onboard themselves by using the Civic application integrated into Medicalchain. Medicalchain uses the Hyperledger Fabric, built by The Linux Foundation in collaboration with a few companies including IBM. Patientory claims it has a solution that aims at creating a patient-centered platform designed with the main goal of eliminating pain points in the centralized healthcare environments and allows interactions with health IT infrastructures in order to improve themselves with the changing trends in healthcare management. There are a few differences between the two companies, related to business, targets and technology. Medicalchain is not seeking to partner with hospitals and healthcare organizations, but instead is approaching the patients directly and offering for them to have their records on their platform regardless of which healthcare organization they belong to. Also, Patientory seems to be more focused on the US market, while Medicalchain wants to cover the entire world. However, in both cases, the objective is that by giving patients control over their health data, it will empower them to better manage their care, thanks to the Blockchain. Permissioned Blockchain: a contradiction in terms? Disrupting healthcare or any other industry would only be possible with the use of Blockchain technology, but this is based on the principle of complete decentralization and not with a permissioned network such as the one designed by Hyperledger. Is this a contradiction in thought and process?